Today, there are thousands upon thousands of iPhone apps and game available and with so many choices out there, it is tough to make a decision on what to spend your money on. 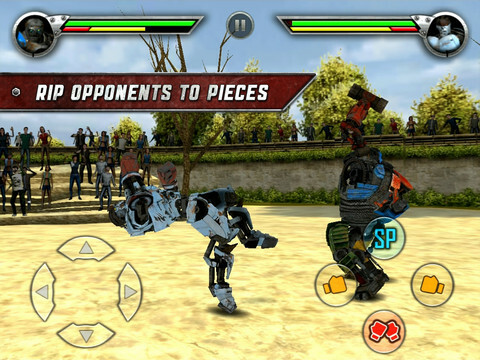 A new iPhone and iPad game that has many fans talking is the new game , “Real Steel” available in the App Store from Jump Games. Real Steel is based off of the soon to be released motion picture, “Real Steel”. In theaters October 7th, the film stars Hugh Jackman and is set in the near future, where robot boxing is a top sport. Robots battle to see who is the better built machine. 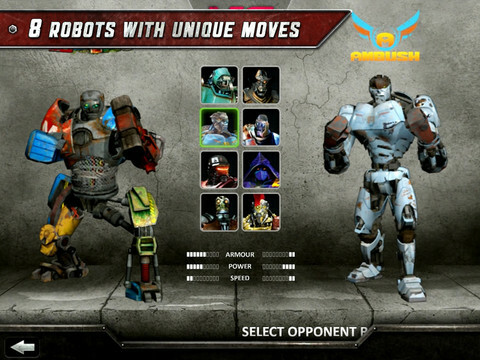 If you want to live in the world of Real Steel, then prepare for intense robot battles in the new title available for the iPod touch and iPad. 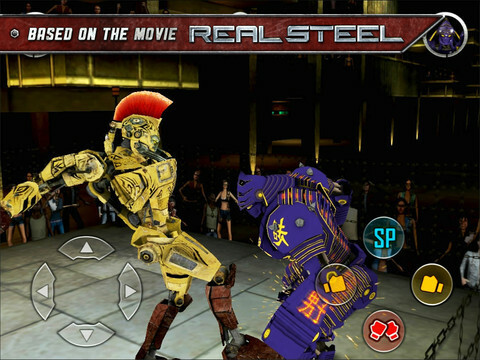 While loading up Real Steel, I went into it thinking that it was just another app of trying to cash in on a movie, without putting in any real effort. And I must admit, I was wrong in every way. Concept: While watching the trailers for the film, I felt that it was going to be a movie where a lot of people would think, “That movie was great, but I’d love to be able to do that in real life.” This title gives them the chance to do that. Not to the extent seen in the movie, of course, but enough to help satisfy your robot bashing appetite. Audio: The audio is crisp, clear, and not annoying unlike many of the other apps in the App Store. Graphics: The graphics for this title blew me away. I was expecting graphics that would appear to have little effort put into them, but instead what I got were graphics that appeared to be from the era of a late PS2 title. The graphics looks great on the iPhone’s display. Value: While “Real Steel” is currently selling for $2.99 in the App Store, I feel this may be a little too high. There isn’t too much to do in the title. If the game were to sell for $1.99, or even .99, I feel it would be a much better deal. AppSafari review of Real Steel was written by Darius Reimm on October 4th, 2011 and categorized under Action, App Store, Fighter, Games, iPad apps, Movies, Sports, Universal. Page viewed 8266 times, 4 so far today. Need help on using these apps? Please read the Help Page.